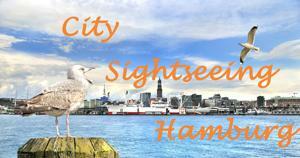 Take a harbor boat trip (a so called Barkassenfahrt Hamburg) with one of our tour guides who speaks YOUR language! Get close to the docks, and cruise by gigantic freighters. Get a glimpse of how ships just barely slip under the bridges. Look out onto our charming and historic warehouse district (Speicherstadt); a monument in its own right, now a UNESCO World Heritage Site since July 2015. We will bring you to various points of interest, where you’ll see the buzzing harbor from a waterside perspective. 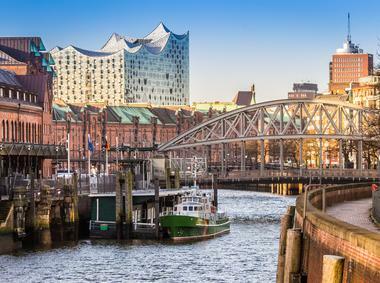 Get a free estimate for a customized boat tour (a so called Barkassenfahrt Hamburg) that 100% suits your needs. Please call: +49 176 48 13 80 29 or send an e-mail . We guarantee an individual and personal experience with one of our CERTIFIED guides. They are ambassadors to the ever changing landscape around the city and are delighted to share their knowledge and experience. Our private ship Tanja was “born” in 1936. Our tour guides speak your language! 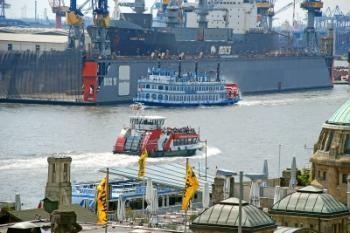 For international guests, it is an unparalleled experience to explore the Hamburg harbor by boat. Take the opportunity to discover Hamburg’s harbor on a ‘Barkasse’ boat trip with a guide who speaks your language and/or the language of your guests. Invite your family, friends, colleagues, business partners to an unforgettable harbor boat trip! No pre-recorded tapes. Our guide talks to you live over the speaker system of the boat. The harbor changes every day, and we adjust our information to it. We offer all tours bilingually: in German and in another language. We guarantee an individual and personal experience. Our tour guides are CERTIFIED GUIDES. Look for the red and white ‘Barkasse’ between bridge (Brücke) 6 and 10 at the Landungsbrücken landing and departure ponton for tourist boats. 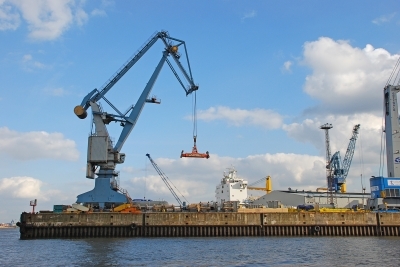 Note: The Barkasse is NOT lying alongside the open Elbe river where the big ferry boats depart, but on the opposite side, behind the tourist shops and restaurants. 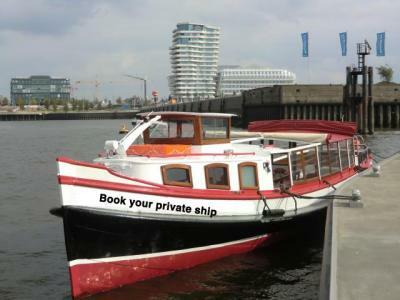 Get a free estimate for a customized boat tour (a so called Barkassenfahrt Hamburg). Please call: +49 176 48 13 80 29 or send an e-mail. We are looking forward to showing you our beautiful and impressive harbor!